Why Do People Use Sarsaparilla? The oral preparations of Smilax Medica (Sarsaparill), like sarsaparilla powder, are used for the treatment of skin diseases and for psoriasis, kidney related disease, rheumatoid arthritis (RA), as an anabolic to enhance the performance of body-building and athletes, as a diaphoretic or diuretic and for gout as well. Sarsaparilla powder is also used for syphilis and adjunct for treating leprosy. Honduran and Mexican sarsaparilla are used in fever issues, treating gonorrhea and for digestive disorders. 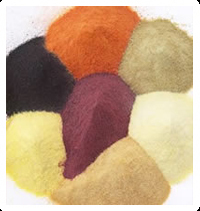 In Manufacturing Practices - Sarsaparilla powder is considered as active ingredient as a flavoring agent in foods, pharmaceutical products and beverages. Likely Safe - Oral usage of Smilax Medica is considered safe when used in amounts commonly found in foods items. Sarsaparilla has also attained the rank of Generally Recognized as Safe status (GRAS) in the United Sates. Oral and appropriate consumption of sarsaparilla is also consider safe when used for medicinal purposes. Possibly Unsafe - Over dosage of sarsaparilla may lead to gastrointestinal (GI) irritation because of its saponin constituents. Avoid In Pregnancy & Breastfeeding - Pregnant and breastfeeding female must avoid any type of usage of sarsaparilla because there is insufficient and unreliable information available about its safety. To rate the effectiveness of sarsaparilla, there is insufficient and unreliable information available. The most effective part of Smilax Medica is its roots. Sarsaparilla is considered to have antipruritic, germ-free and antirheumatic reactions; on the other hand, these reactions have not been substantiated. Sarsaparilla consist of about 2% of saponins and other random constituents such as phytosterols (stigmasterol, beta-sitosterol, pollinastanol) and quercetin. Some supplement advertisers inaccurately mention that the sterols from sarsaparilla can be changed over into anabolic steroids, for example, testosterone. However, plant sterols can't be changed over to steroid substances in the body. The saponin constituents, including smilagenin and sarsasapogenin may have diaphoretic, diuretic, laxative and expectorant effects. The sterols in sarsaparilla are not anabolic steroids nor are they changed over in vivo into anabolic steroids. Testosterone has never been identified in any plant such as sarsaparilla. Sarsaparilla may increase digestion level and appetite, and its extract may also increase symptoms. According to clinical experiments, sarsaparilla may have anti-inflammatory and hepato-protective effects is some individuals. What Are The Side Effects /Adverse Reactions of Sarsaparilla? Over-dosage of Smilax Medica may cause kidney impairment or GI irritation in some allergic individuals. Excessive amount of sarsaparilla powder can lead to diuresis, European cholera and sometime shocks as well. Professional exposure to sarsaparilla root dust can be responsible for asthma and rhinitis symptoms. How Sarsaparilla Interacts With Other Herbs and Supplements? Herbs Containing Cardiac Glycoside Properties - Different herbs containing cardiac glycosides may enhance the potential risks of cardiac toxicity. Herbs with cardiac glycoside properties include Canadian hemp roots, black hellebore, hedge mustard, digitalis leaf, lily of the valley roots, figwort, oleander leaf, motherwort, pleurisy root, pheasant's eye plant, strophanthus seeds and squill bulb leaf scales. How Sarsaparilla Interacts With Drugs? Digoxin (Lanoxin) - Interaction rating between sarsaparilla and digoxin is moderate, so be careful about this mixture. Sarsaparilla powder may increase digitalis glycoside absorption. Lithium Interaction rating between sarsaparilla is moderate, so be careful about this mixture. Sarsaparilla may have diuretic properties. Because of these potential diuretic effects, sarsaparilla may increase levels of lithium and reduce its excretion. Dosage of lithium for such patient should be reduced. How Sarsaparilla Interacts With Foods? How Sarsaparilla Interacts With Lab Tests? How Sarsaparilla Interacts With Diseases and Conditions? Asthma - Sarsaparilla powder can lead to asthma issues. Kidney Dysfunction - Smilax Medica can cause kidney impairment. What Should Be the Dose/Administration of Sarsaparilla? ORAL Normally used oral dose of sarsaparilla is one cup of the tea three times or 1 to 4 grams of the dried root every day. Such tea is made by simmering up to 4 grams of the dried root in boiling water for 5 to 10 minutes and then straining. However, typical dose of the liquid extract (ratio of 1:1 in 10% glycerol or 20% alcohol) is in the range of 8-15 ml. Sarsaparilla was the most famous drink of the cowboys in the old west areas of the United States. Don’t mix false or Indian sarsaparilla (Hemidesmus indicus belongs to Apocyanaceae family) reportedly a widespread adulterant of sarsaparilla. False sarsaparilla consists of none of the saponins or some other major and effective constituents found in sarsaparilla. Supplement which contain sarsaparilla are sometimes deceitfully sold as performance-increasing agents. It is not true that the plant sterols in sarsaparilla can be changed into anabolic steroids, for example testosterone.